Need a gutter cleaning service in the Olympic Park area, our gutter cleaner crew are happy to assist you with any enquiry you have. We can reach up to 4 1/2 storeys up without the use of scaffolders and even higher with special access equipment. We will thoroughly clean all your gutters and downpipes and give free minor repairs for all E20 residents. Our Olympic Park gutter replacement service can also install fascia and soffits, we can install them in any colour and material you desire. We have such confidence in our work and quality of materials we give out a 10 year guarantee on all work for your peace of mind. There are many different types of repairs, if its plastic guttering it might be just a seal required or sometimes a part replacement. if its metal gutters you have we can give the inner lining a coating of fibreglass sealant, if the gutter is too badly corroded needless to say a part or length of gutter may need replacing. 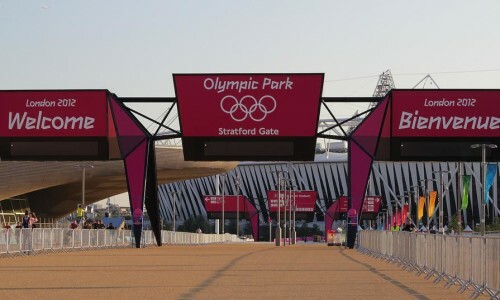 Guarantees on repairs range from 3-10 years if there is any issue with the work in that period one of our Olympic Park E20 representatives will be out to rectify it for no further charge. When choosing a roof cleaning firm in the E20 Olympic Park area why take a gamble, all our staff are fully insured and trained to move across roofs without damaging one of the most important parts of the home. Before supplying a customer a quote we will give you roof an inspection so we know the best method to clean it. We use a lower power pressure washer or if the tiles are too delicate we will use a wired brush to remove the moss from the roof. After completion we will clean all guttering and mess caused then finally treat the roof so the moss does not make a fast recovery.